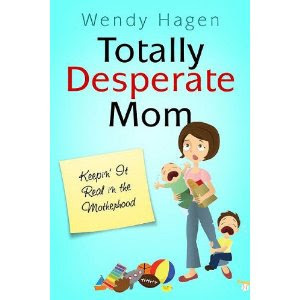 Totally Desperate Mom will keep you laughing! Thanks Kathi. Glad you enjoyed the book! I will deposit your money in an offshore bank account as per our arrangement. Has Wendy been spying in my windows? I swear this book must be about me. LOL! Definitely a book I would love to know more about and read. This book looks hilarious even from the cover. And Wendy, I like your screen name 😀 TDM…I think most of us could put that in front of us. Hahaha…I just had a good chuckle. Thos kids look like my boys on the cover…and my face when my hubby comes home.